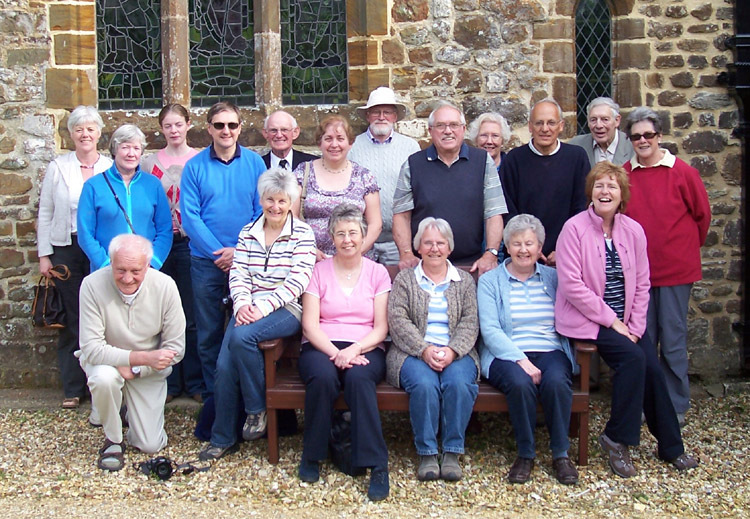 The Spring Outing of the South Oxon Branch is now established as an outing that is enjoyed by ringers and non-ringers alike. This year our outing was to Brownsea Island off Poole, taking in the tower of St Peter at Stockbridge and Romsey Abbey on the way down to Brownsea Island and Canford Magna on the way home. The ringing at Romsey Abbey was very special and everyone commented upon how they enjoyed the experience. The ringing on Brownsea Island was a different experience as the bells were very light and a challenge to control….well for some at least! The weather was very kind to us all day and that made the day even more enjoyable. Finally we all shared a meal together in Steventon and at the end of the meal our Chairman Brian Gray expressed our gratitude to Kay Bartholomew for organising the outing and making it another Spring Outing to remember. On a personal note our car of specialised navigators only had one minor detour and after our experiences on the Isle of Wight it restored our belief in traditional map reading! !